How to Build your Own Wine Rack Tower | DIY projects for everyone! Using a wine rack is a safe and convenient way to store bottles of wine. Wine aficionados, listen up – this one’s for you. This is for a do-it-yourself wine rack tower. Now you can finally store your wine collection in a safe and convenient way. And because it’s DIY, you get to customize it according to your needs and wants. Wine racks ensure that you have a nice bottle of wine for celebrations – or for ordinary days. These racks can also be a decorative piece at home. 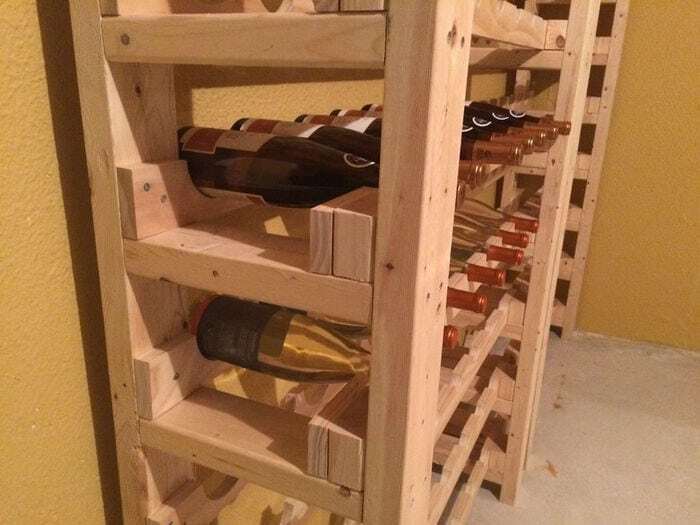 Before building your own wine rack tower, choose the right material. The key is in making the right choice when it comes to material. If not, you’ll end up with a rotting wine rack sooner than you expected. The most common ones are redwood, mahogany, and oak. Experts believe that some wood emit certain odors that can harm wine. You can substitute any type of wooden board here. The materials listed below are what the DIY-er used.